Red Mangrove Lodges is giving out a 5-day trip to the Galapagos Islands to the winners of its contest commemorating the 180 years Galapagos has belonged to Ecuador. Signing up for the Lodges’ newsletter enters you in the contest, valued at $3,250. The winners of the contest will be whisked away to three islands, Santa Cruz, Floreana, and Isabela, where they will encounter fearless wildlife, famous from Charles Darwin’s studies. Fascinating species include penguins, flightless cormorants, crabs, and tortoises. 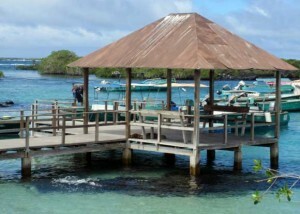 The drawing for this all-inclusive trip for two will take place on February 12th, 2012, the Galapagos Anniversary. For more information about the contest, visit Red Mangrove Lodges’ information page. For stories about Ecuador and the Galapagos, visit GoNOMAD.